An apple a day keeps the doctor away, right? Well, it might not be completely true. Fruits and their health benefits are long disputed and it has been scientifically proved that both sides are correct: fruits are healthy and fruits aren’t healthy. So what to believe if even science is confused? The answer is actually very simple! From a very young age we are taught to eat at least one serving of fruits and vegetables every single day so it seems almost nonsense to think fruits could be bad for you. You’re thinking, “how come it can be unhealthy if it comes straight from the nature and has like zero calories!”. Here’s the truth: they are loaded with sugar! In fact, many processed snacks can easily contain far less sugars than fruits which have 3 types of sugars: fructose, glucose and sucrose (sounds pretty sugary, doesn’t it!). Now don’t get this the wrong way and steer away from the fruit stand! The thing with fruits is: they need to be consumed in moderation. If you thought eating those tiny apples won’t mess up your diet since they are almost zero-calory snacks, think again since the sugars will still hit your brain with the signal “yes, we got sugar!” and you will want more and more as the more sugar you consume, the more your body will want it. Think of this: one medium apple contains 19 grams of sugar! That’s not so few after all, is it? Truth to be told, it’s really like an addiction. If you give in and eat a lot of fruit, you will see a significant weight gain, blood sugar rising etc. Fruit is healthy, juice is made of fruit so … juice is healthy! Nope, I am afraid I have to disappoint you here since juice might as well be called sugar water. 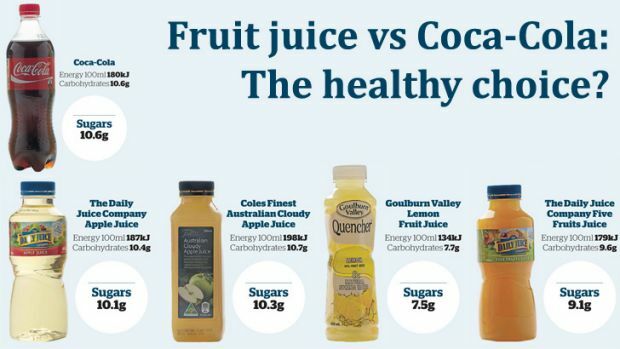 The thing is, for making juice, all of the sugars are pressed out but all the beneficial healthy fibers are not included. Juice industry is one of the biggest scams as they play on the fruit health benefits while actually containing close to none. It tastes good, has some vitamins but it is definitely not the healthiest choice on the market. The same applies to generally any product made of fruit – think of dried fruit for example. It seems like a heavenly snack containing almost zero calories but hold your horses since it seems way too good to be true and it is. Dried fruit contains enormous amount of sugars since all the waters and most healthy ingredients are dried out and what is left – sugars! The other issue with dried fruit is the overconsumption since the pieces are so small you can easily eat a whole package and it seems like nothing when actually you just ate a nice 100 grams of sugar! Yikes! What makes fruit sugars a bit healthier than processed foods are the fibers which don’t let the sugars to absorb so easily (therefore, you’ll feel full longer) and of course the vitamins and minerals which are essential for our bodies to function well! Just keep in mind to eat fruit in moderation as in the end an apple a day can really keep the doctor away but only if you stick to one instead of a dozin. They taste good and are awfully tempting but as with any good thing, too much of it will not do good for you. Next time you’re reaching to a juice bottle or think of eating another banana, think again – it might not be a good idea! If you want to lose weight, then stay away from any fruits that come in a can, bottle or package – choose your fruits from the local market and consume them wisely in moderation. If you are just enjoying the sweet taste of fruits, then go for it but try to keep your consumption normal – don’t take that extra apple just yet! E Numbers in Your Food: Should You Avoid Them?